Dolph Ziggler has seen his WWE career shift course so many times. He was brought in as a caddie for Kerwin White (a/k/a Chavo Guerrero) to being a male cheerleader, and eventually a singles wrestler who would garner a loyal following in the wrestling business as a hard worker who could sell better than many of the best of all time. He would be accompanied by various individuals throughout this run including Vickie Guerrero, AJ Lee, and Big E Langston, and would become a 2 time World Heavyweight Champion defeating Edge for the title and later becoming a successful Money In The Bank briefcase holder winning the World Heavyweight Championship from Alberto Del Rio in what has been dubbed one of the Greatest Money in the Bank Cash-ins of All Time. After capturing the championship though, complications from concussions prevented WWE from backing Ziggler in a manner that one would expect for such a popular superstar. Ziggler would fall out of favor with the creating team and would find himself in constant feuds over the WWE United States Championship or the WWE Intercontinental Title. Eventually, Ziggler would be thrust into a seemingly main event position as a defender of WWE Monday Night Raw against the authority. he would lead the Raw Survivor Series Team to a victory over Stephanie McMahon and Triple H's Corporate Team. He would he in a position to break out as the main baby face of the promotion. And then he would see his push come to a screeching halt. The biggest issue is not that Ziggler has fallen off as a worker. He still routinely puts on a clinic in the ring on a nightly basis. He has demonstrated the ability to work with any type of wrestler regardless of their style or size and has been over with the crowd for such a long period of time. He has created a following with crowd responses that rival everyone in WWE currently. He has been innovative with his character and has been both physically entertaining and emotionally intriguing in his matches. He has played the role of an underdog so well that despite being a heel, he has maintained a level popularity that transcends his role on the brand. Despite all of his efforts, Dolph Ziggler has not received a solid top talent push in several years. His in-ring work is fantastic but his lack of big match success has put a damper on his wrestling career. 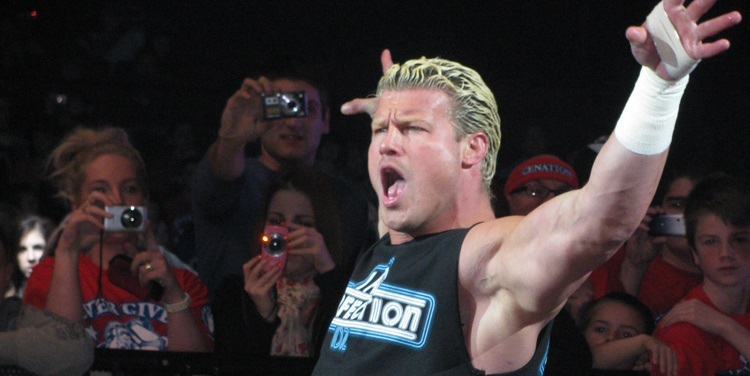 In recent months, Dolph Ziggler has been asked about his future. On the Edge and Christian Podcast of Awesomeness, he has vented his frustrations with WWE creative and has made his intentions clear. He does not want to remain in WWE if he will never win a match or become a stepping stone for new young talents. He has started referencing the need to go elsewhere and rejuvenate his character. This would be a huge loss for WWE. Considering the incredible matches that have never taken place in a WWE ring, there would be no shortage of suitors for Dolph if he were to move on from WWE. He would be an instant attraction for Ring of Honor, Impact Wrestling, Lucha Underground, or New Japan Pro Wrestling. His name alone would light up the marquee and be an instant hit. WWE has to be positive about the decision to allow him to walk away especially with the shot in the arm he would deliver to any rival brand. Remember the date. December 17, 2017 was the day. Dolph Ziggler popped back into relevancy. Heading into his match with defending United States Champion Barron Corbin and upstart star Bobby Roode, Ziggler seemed to be booked into the match as a triple threat as a way to have someone in there to get pinned and not take any momentum away from the other 2 talents. The odds makers had Dolph Ziggler as a heavy underdog in the pre-event betting. With that being said, could WWE potentially see the value in Ziggler? Would they surprise the audience and give him the championship? As a matter of fact, they did. Dolph Ziggler would go on to win his second WWE United States Championship hitting his signature ZiggZagg finisher on Corbin to pick up the win and bring home the belt. it is not a world championship run that he would be so deserving of after all he has done for the company but in the highly competitive climate in WWE, this title reign, no matter how long, signifies his relevance and importance to WWE and hopefully is just the first step in the resurrection of the WWE career of the "Show Off" Dolph Ziggler.